If you’re selling your home, you know the very real possibility that your house could be sitting on the market for months without an offer. You also know you may have to accept less money just to get it sold. But you may not know what you can do to prevent that. Staging is the solution. In this guide, professional stager Megan Morris offers her tips for how to change the look of your house so buyers won’t want to walk away without making an offer. Megan will show you how to look at your house through a buyer’s eyes and see the things you might be missing that can make the difference in such a competitive market. Learn what you can do to make the first impression the best impression and how you can change the very feel of your house to give your house the extra edge. With Megan’s advice, you can transform your home to decrease the time it stays on the market and get top dollar—and it’s all because of staging! You can’t afford to miss this important information. 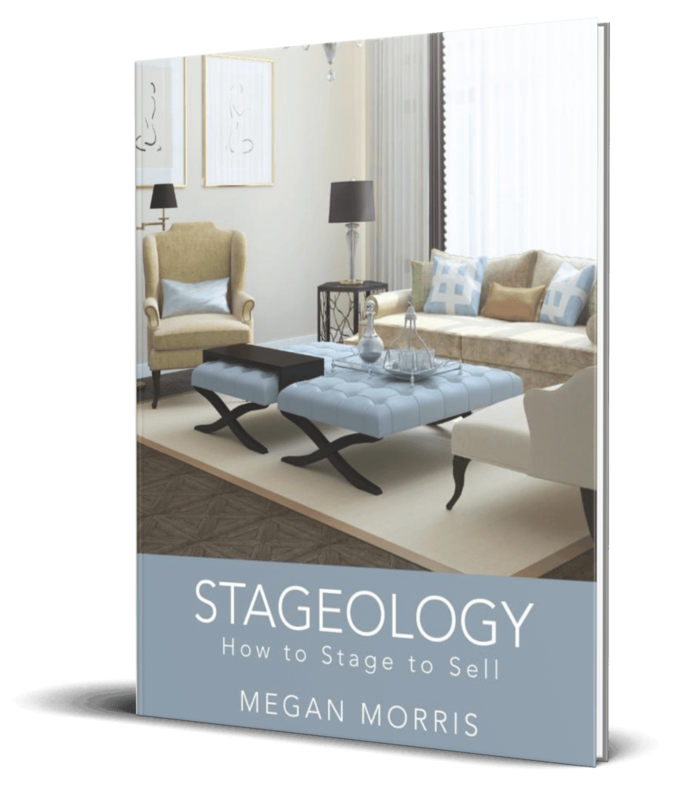 Take a course in Stageology and get your house sold! Why Stage Your Home For Sale?